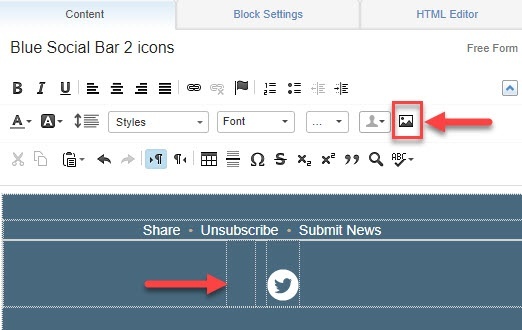 Hover over the social media block (free form block) and click to edit. In the editor for the social media bar, highlight and delete the icon you want to replace. Put the cursor in the blank area and click the image icon. 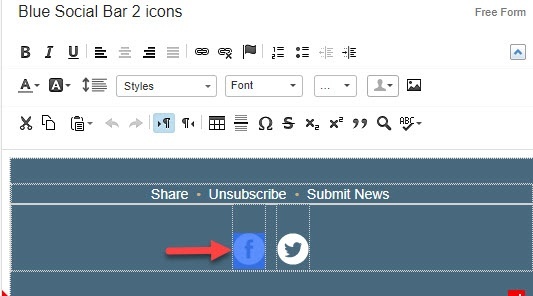 Go to Shared Folders > Shared Content > IU assets > Social Media Content > Social Media Icons and click the social media icon you want. The icon will be white. Click Select. 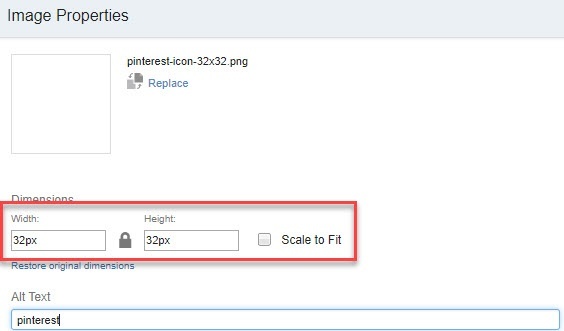 In "Image Properties", confirm that the image size is 32 x 32 px and the Scale to Fit box is not checked. Give the image alternative text (alt text). Adjust the background, border, and padding as desired. Set the alignment to Left, Center, or Right. Under "Link", click Add and enter the web link. Click OK. The new social media icon will display in the social media bar.